This home is situated on over a quarter acre lot in a quiet cul-de-sac with stunning mountain views. Like new, this home was built in 2016 and has been highly upgraded. 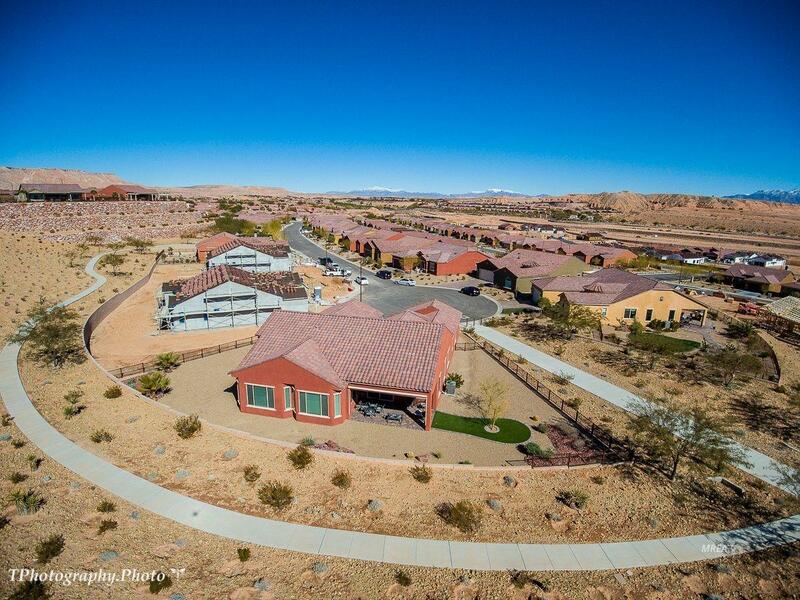 The premium home site is spacious and is surrounded by common area and beautiful desert scape. 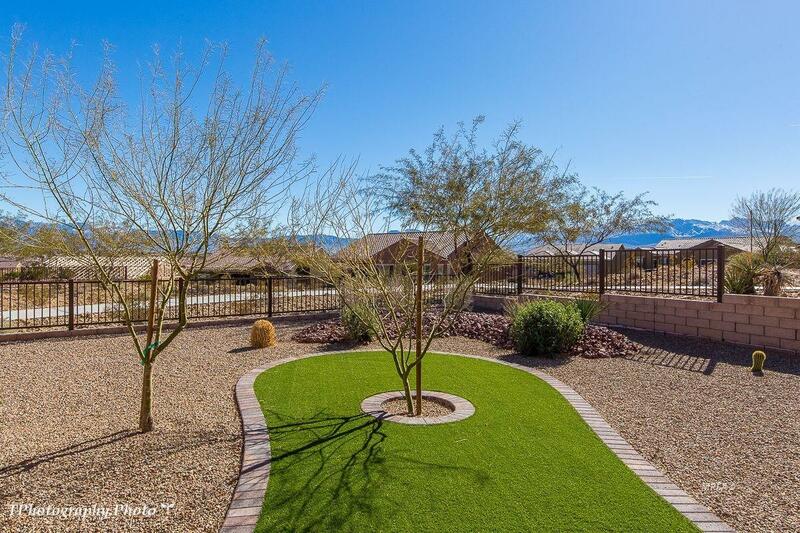 The backyard is fully fenced and landscaped and there is ample room for a swimming pool. The paver patio is perfect for outdoor furniture and the electric solar shade provides privacy. The interior is open and bright. The Serenity model welcomes you with a grand foyer and dramatic 10-foot ceilings. The warm paint tones and tray ceilings add sophistication. A flow-through kitchen with an expansive island opens up to the spacious great room. Premium cabinetry, pendant lighting, stainless appliances and a large walk in pantry are a bonus. The great room is lined with large windows providing plenty of natural light. The master suite is spacious and the bathroom has a costly tile surround walk in shower and duel sinks. The garage space is awesome with an added extension and a spacious bump out. The third car detached garage is convenient for a golf cart, storage or toys. 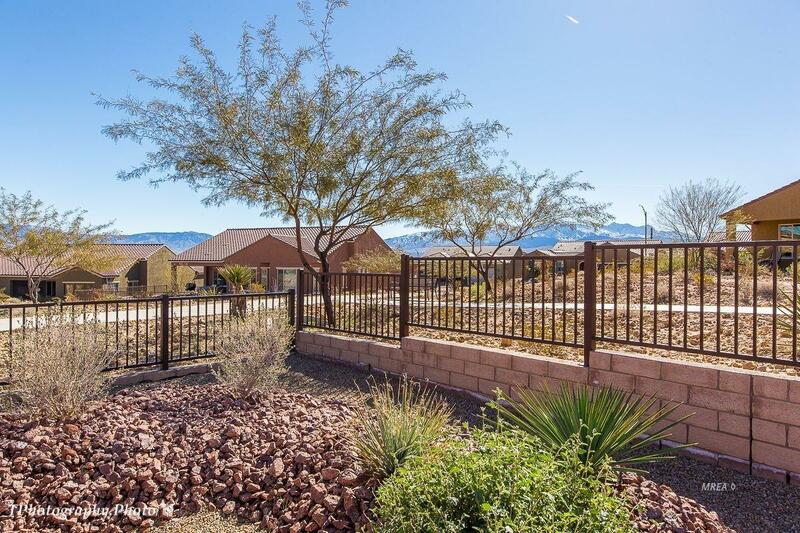 Exterior Features Cul-De-Sac Fenced- Full Landscape- Full Sprinklers- Drip System Sprinklers- Automatic View Of Mountains Senior Only Area Patio- Covered Swimming Pool- Assoc. 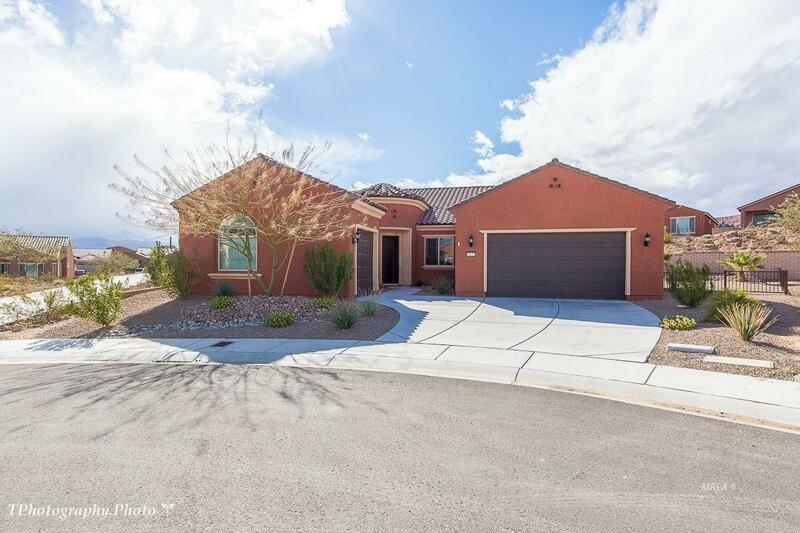 Listing provided courtesy of Michelle Hampsten of Keller Williams Southern Nevada.